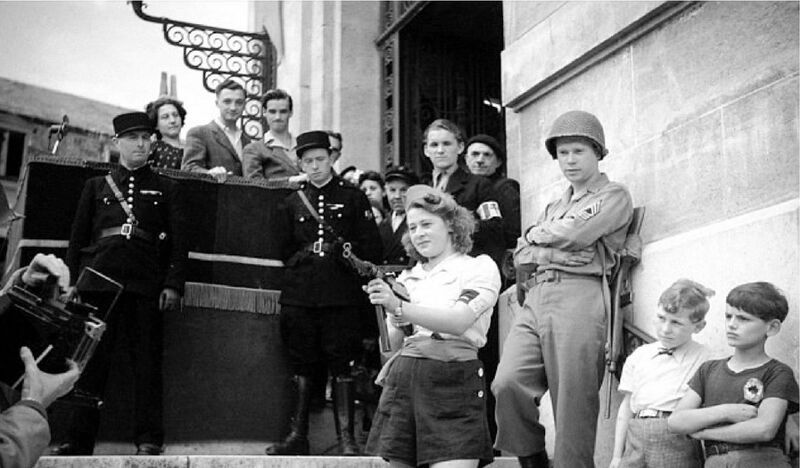 Simone Segouin risked her life many times during the secret war against the Nazi occupiers, and became famous the world over when she was pictured wielding a gun in her distinctive shorts and cap. 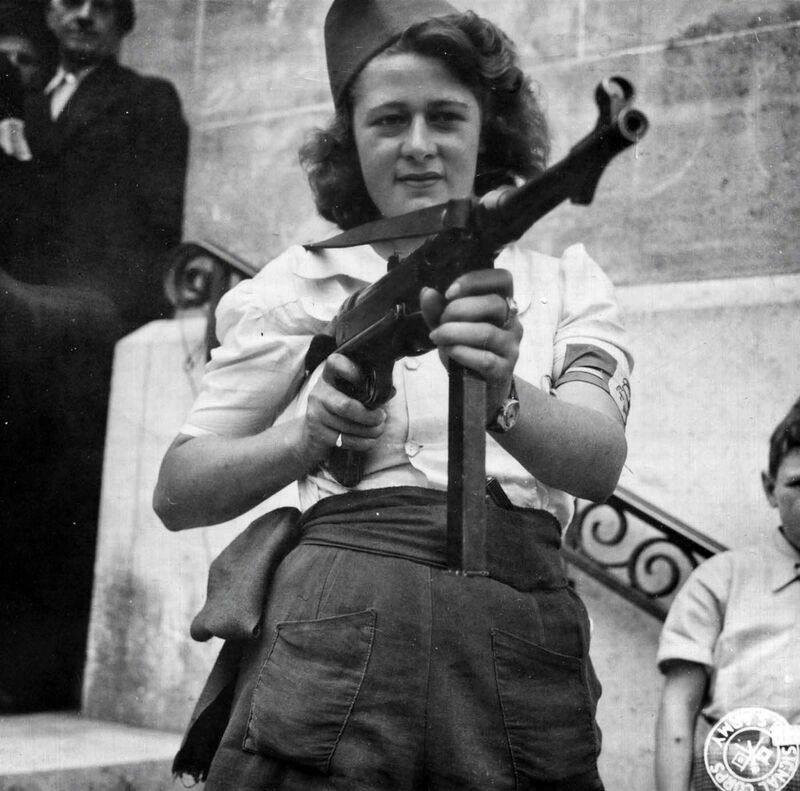 She helped de-rail a train and blow up bridges in and around the city of Chartres, 50 miles south of Paris and was present at the liberation of both cities in 1944, when aged only 18. Simone Segouin, also known by her nom de guerre “Nicole Minet”, was born in Thivars, France in 1925. 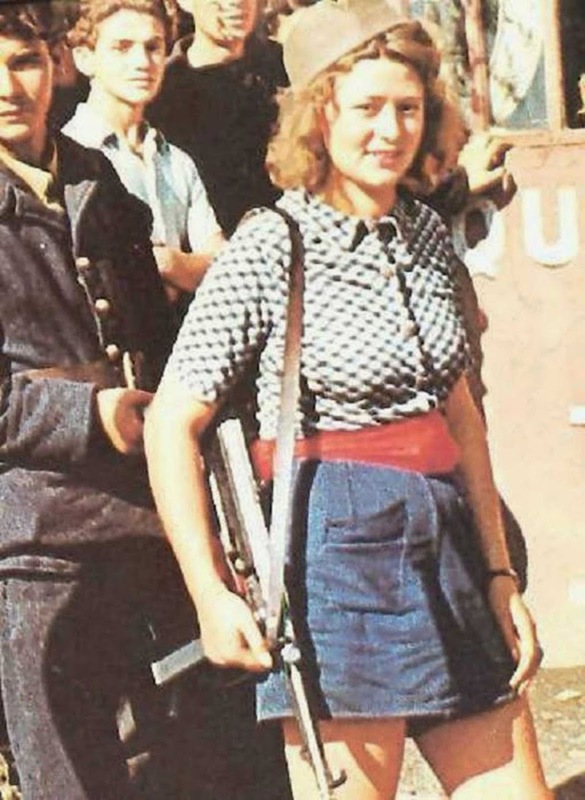 During the German occupation of France, she was a member of the Francs-Tireurs et Partisans group. On 23 Aug 1944, she was credited with capturing 25 Germans and killing several more in the Chartres, France area. 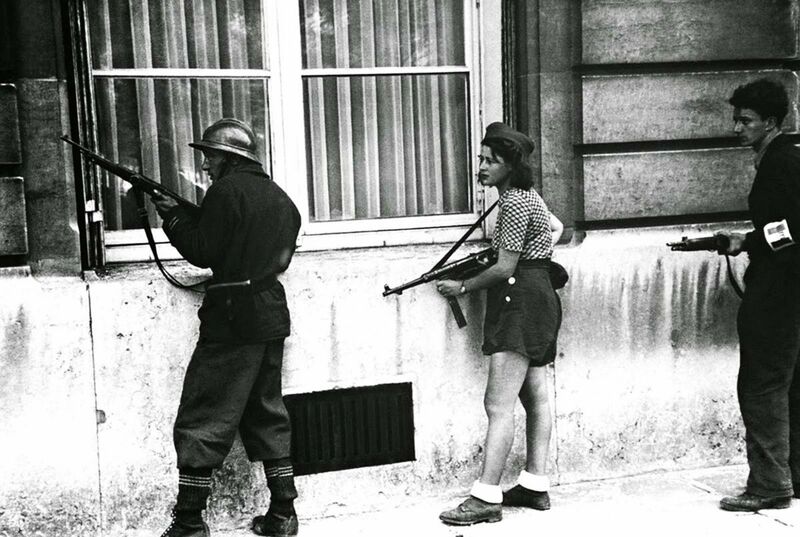 She was also present in Paris, France during the city’s liberation. For her efforts during the war, she was promoted to the rank of lieutenant and was awarded the Croix de guerre. One of Simone’s first missions was to steal a bicycle from a German soldier which, after a respray, she rode, as her reconnaissance transport. Her MP-40 sub-machine gun was also taken from a German. When the war was over, she was awarded the prestigious Croix de Guerre and she was promoted to lieutenant. Women made up just 10% of the Resistance, but their presence helped force a shift in the way their gender was treated. Simone went on to become a paediatric nurse in Chartres, where her wartime exploits made her hugely popular. A street in Courville-sur-Eure was named for her.